Members, isn't it time we finally secured the same workplace rights and protections as all other government workers? 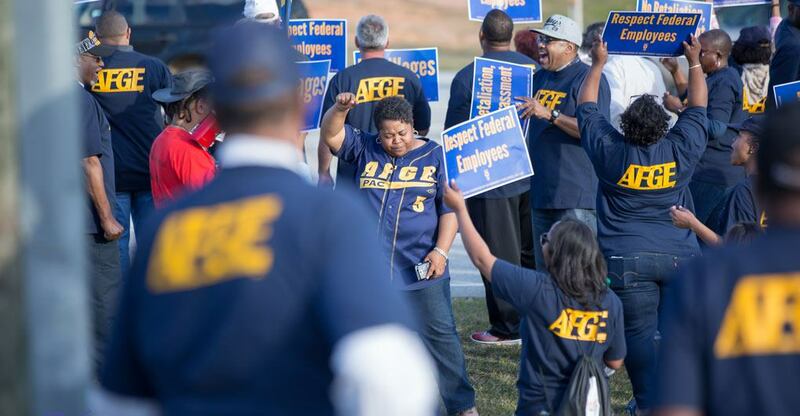 Please read this from Charity Wilson She is our AFGE legislative liaison representative out of Washington DC. The House Homeland Security Committee will be holding a mark-up (Committee vote) on 3 bills that are very harmful to the TSO workforce onWednesday, May 3rd at 10:30 AM. Both bills are inspired by a July, 2016 report written by Republican Committee staff on TSA misconduct. (Bloomberg) -- U.S. House and Senate negotiators reached a tentative bipartisan deal Sunday night on a $1.1 trillion bill to keep the government open through the end of September, according to Republican and Democratic aides. GOP leaders eager to focus on health care and tax overhauls bowed to Democratic demands to eliminate hundreds of policy restrictions aimed at curbing regulations from the bill, leaving the Trump administration with few victories. Right now, Congress is working on the most extreme union-busting, pension-stealing bills we've seen yet. A universal “comprehensive” search may prompt passenger complaints to law enforcement. The U.S. Transportation Security Administration has declined to say exactly where—and how—employees will be touching air travelers as part of the more invasive physical pat-down procedure it recently ordered. LAS VEGAS (KSNV News3LV) — There are already concerns surrounding the Transportation Security Administration's new pat-down procedures, and it's prompting the agency to warn local officials.